I recently cut off a lot of my hair, to shoulder length to be exact. Which means its harder to get that volume up, so here I have my current hair styling routine. First of all, after washing my hair I use the TRESemme Smooth Salon Serum and run that through the ends of my hair, as it makes it feel a lot softer and silkier once its been blow dried. Then moving on to heat; I usually curl my hair now its shorter because I feel it looks a lot more volumized when curly. To protect my hair from the heat I use the TRESemme Protect Heat Defence Styling Spray. I really love this, because its not a sticky heat defence spray and it actually leaves your hair smelling quite nice! 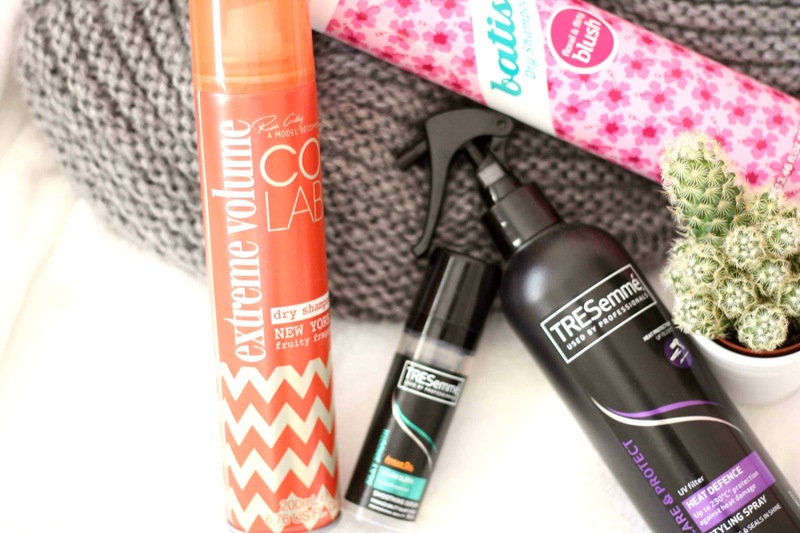 After I’ve done all my curling, to give it that extra volume I use my Colab Extreme Volume Dry Shampoo in the New York scent, (which smells incredible by the way) and spray that into the roots of my hair then play around with it until its how I want it. On a side note, I tend to wash my hair every three days if I can help it. To keep my hair looking less greasy and half decent, I use the Batiste Dry Shampoo in the floral scent. This just keeps my hair looking a lot fresher, and if it weren’t for this I definitely wouldn’t wash my hair every three days! It also gives a slight bit of volume which really helps too. What products do you use to style your hair?